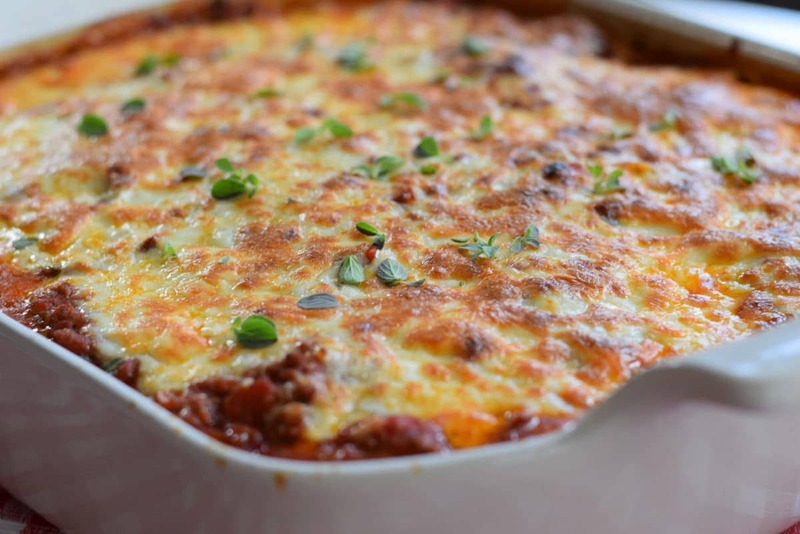 Ultimate Baked Spaghetti is the perfect combination of creamy with a hearty meat sauce topped off with bubbly melted cheese. 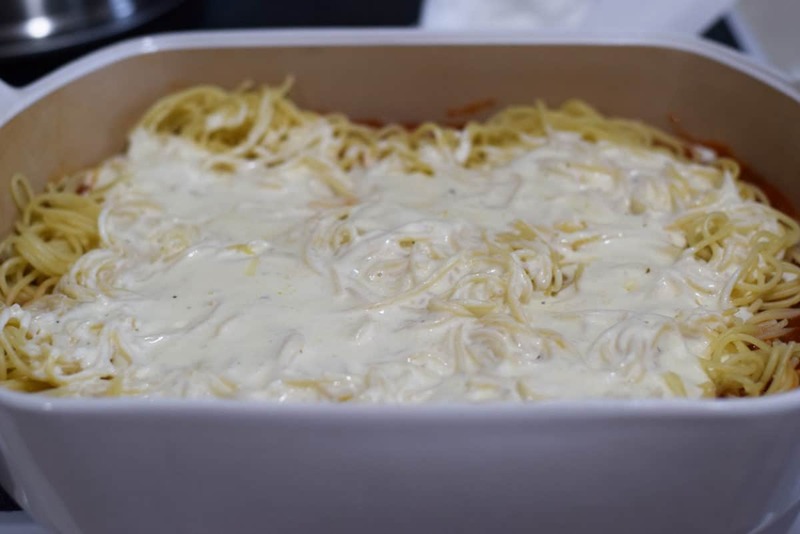 This Ultimate Baked Spaghetti is certainly a hit in my house. 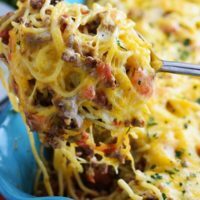 It’s meat sauce meets alfredo sauce and gooey cheese on top. Perfection is how I see it. It’s a great make ahead meal and freezes well too! 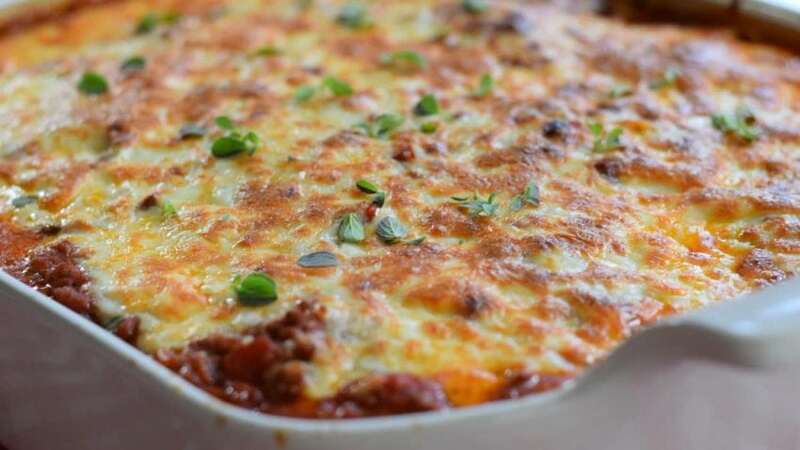 This dish is a perfect comfort meal all baked up in a casserole dish. Needless to say we all needed a little, well a lot, of comfort as we faced Hurricane Irma. I have to say after this roller coaster of a storm, that had us worried and fearful for over a week, we wanted some comfort. We needed Hurricane Comfort Food!! My house and family were all safe. My house keep power and some of my family members are still without electricity a few days later. So I have been cooking and enjoying time just loving on my family and spending time with them. I have to say how blessed we feel at the outcome. Others were not so fortunate, we are so thankful this storm downgraded as it approached my town. The eye went right by us and I cannot image what we would have been through had this been a Cat 4 like once thought. Hold on here we go! Ulitmate Baked Spaghetti to the Rescue! In a skillet over medium heat melt butter. 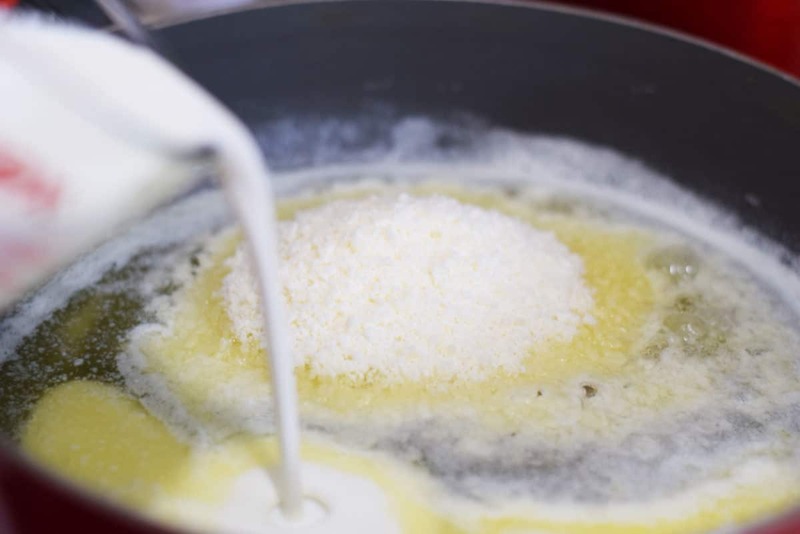 Add in parmesan cheese and whisk together. Slowly add in cream until combined. Next add Italian seasoning and garlic and whisk until combined. Beat egg in a bowl or measuring cup. Add in a little of the sauce to the egg to temper. Slowly add into skillet and whisk until combined. This will thicken the Alfredo Sauce. Turn down to low. Let simmer while assembling casserole. Salt Pasta water to taste and Cook pasta according to package instructions to “al dente”. About 8 to 9 minutes. Drain. Preheat oven to 350°. In 9 X 13 or Casserole Dish. 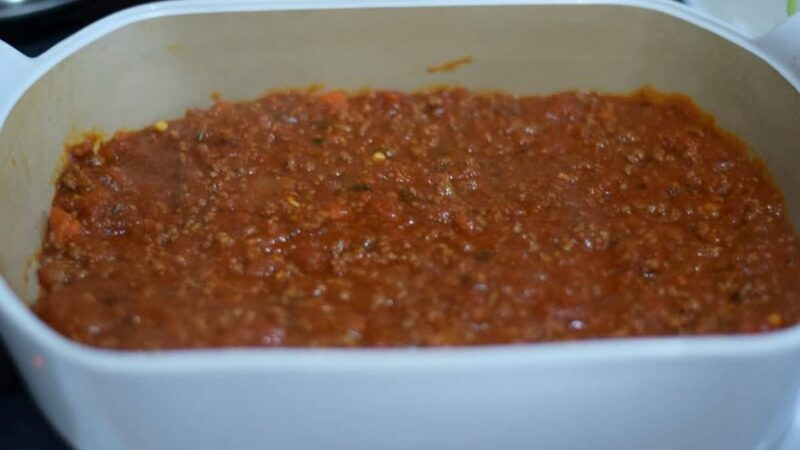 Layer bottom of dish with about 1/3 of Meat Sauce on the bottom. Add 1/2 of pasta. 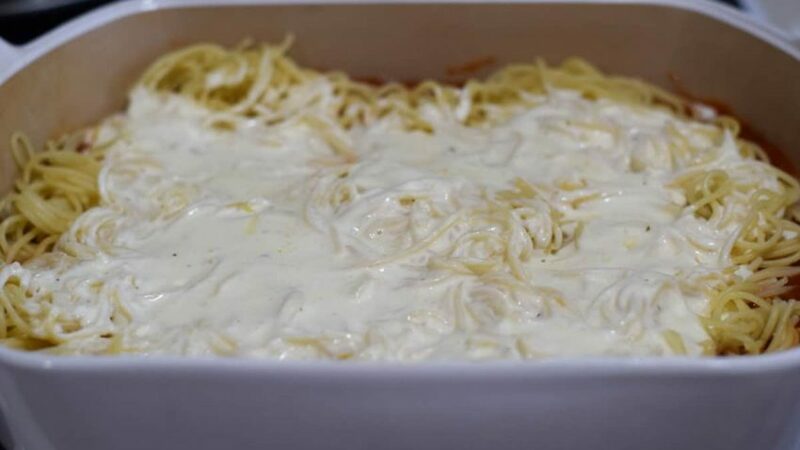 Pour on Alfredo sauce on top of pasta. Next add the remaining pasta. 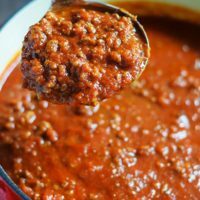 Pour the remaining meat sauce. Cook for 20 minutes. 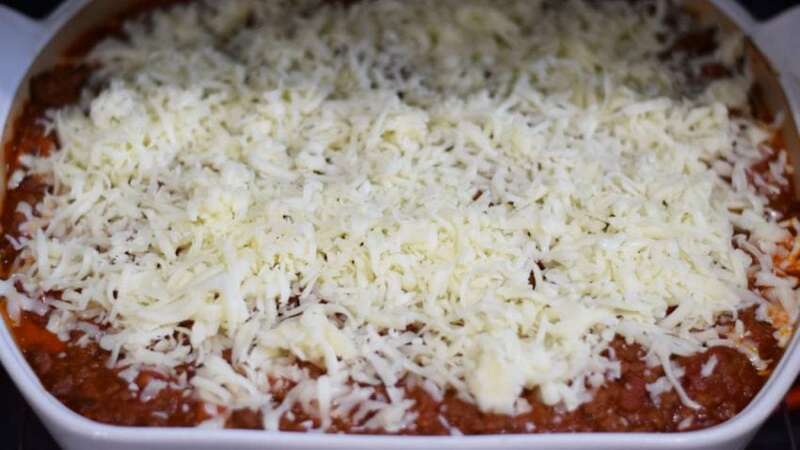 Remove and add mozarella cheese on top. Bake for 15 more minutes or until melted and golden. I like to broil mine a minute or 2. It’s just a few easy steps and the end result is so good ya’ll! As I hug my loved ones a little longer, I also feed them good food! I hope you all enjoy this one too! 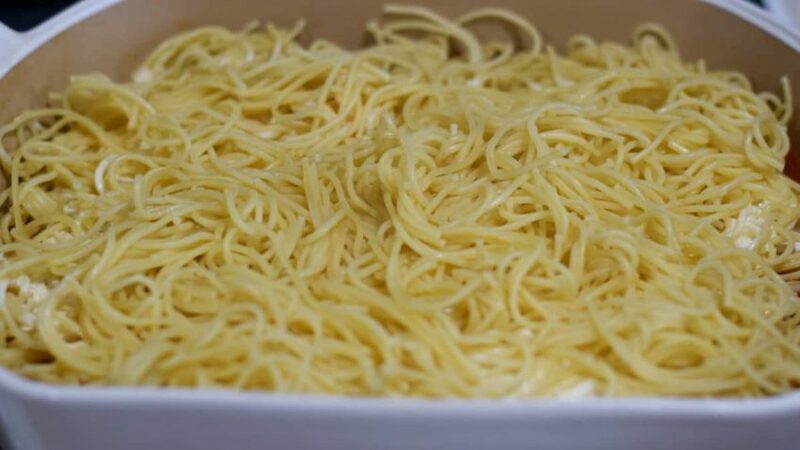 If you have any stories to share from Irma or just about your family or your love for baked spahetti – please head over and join us on social media or comment below. 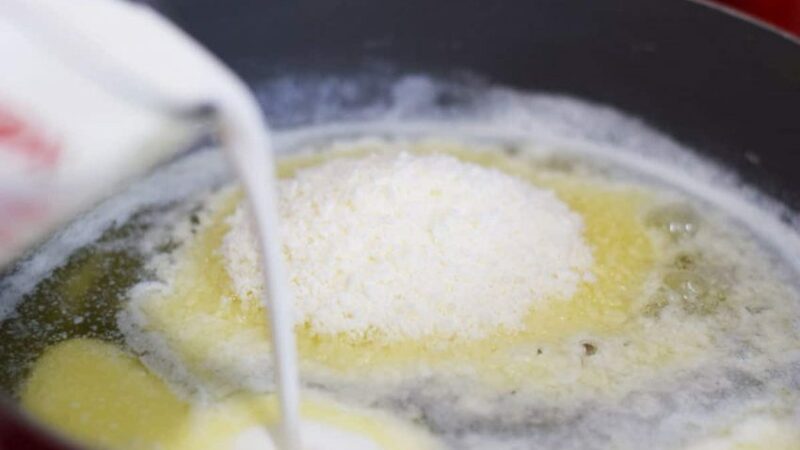 Beat egg in a bowl or measuring cup. Add in a little of the sauce to to the egg to temper. Slowly add into skillet and whisk until combined. 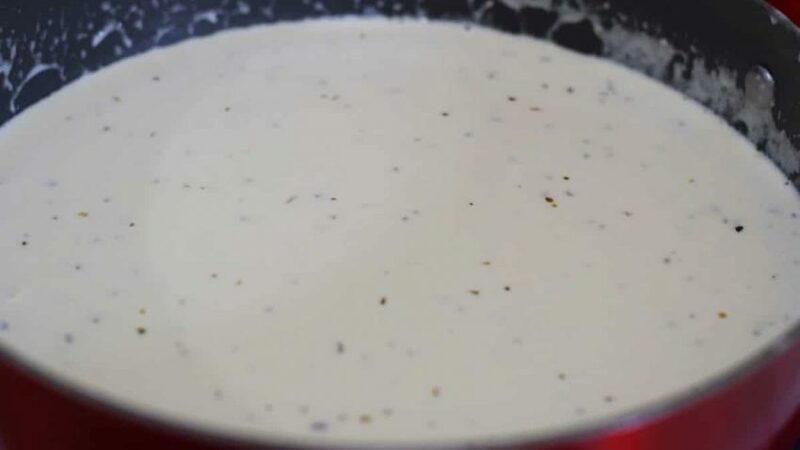 This will thicken the Alfredo Sauce. Turn down to low. 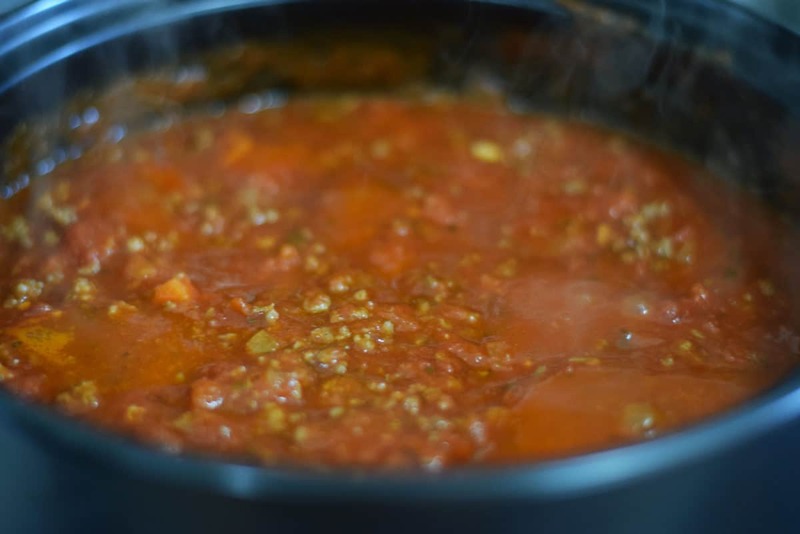 Let simmer while assembling casserole. Salt Pasta water to taste and Cook pasta according to package instructions to "al dente". About 8 to 9 minutes. Drain. In 9 X 13 or Casserole Dish. 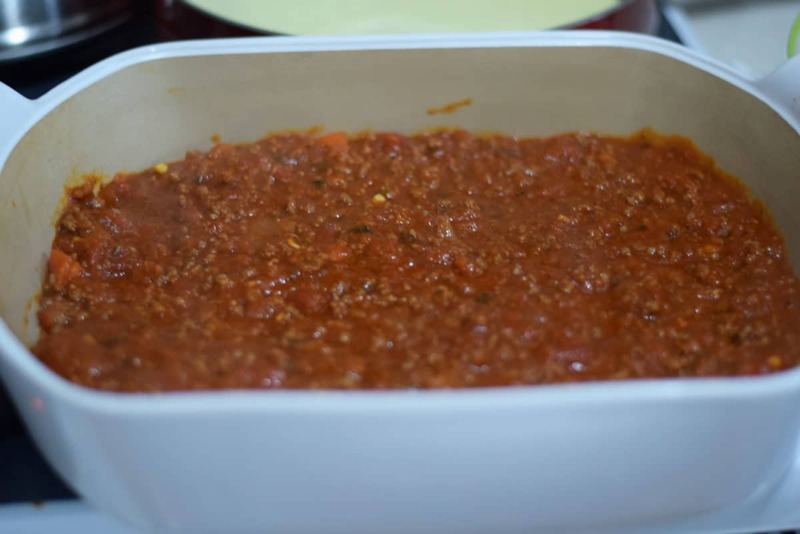 Layer bottom of dish with about 1/3 of Meat Sauce on the bottom. Add 1/2 of pasta. 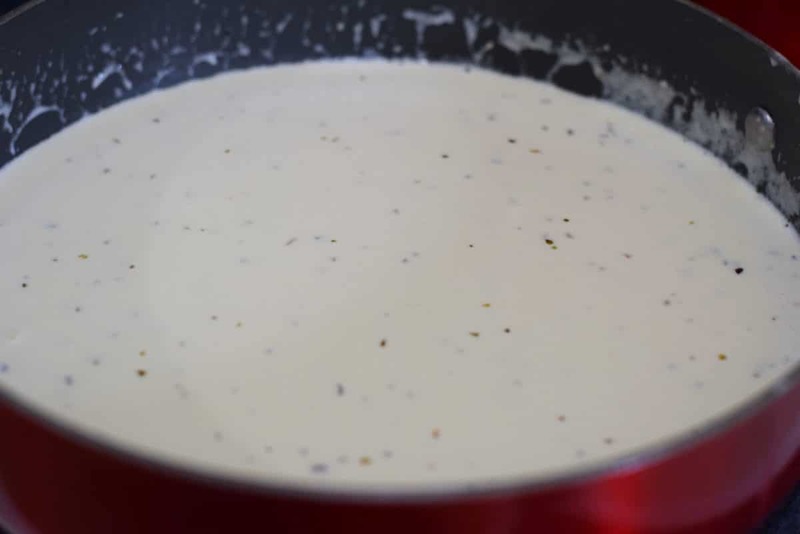 Pour on Alfredo sauce on top off pasta. Next add the remaining pasta. 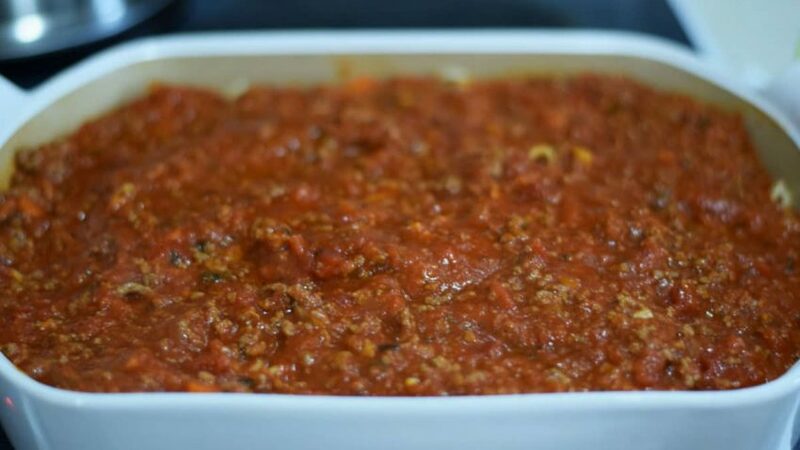 Pour the remaining meat sauce. Cook for 20 minutes. 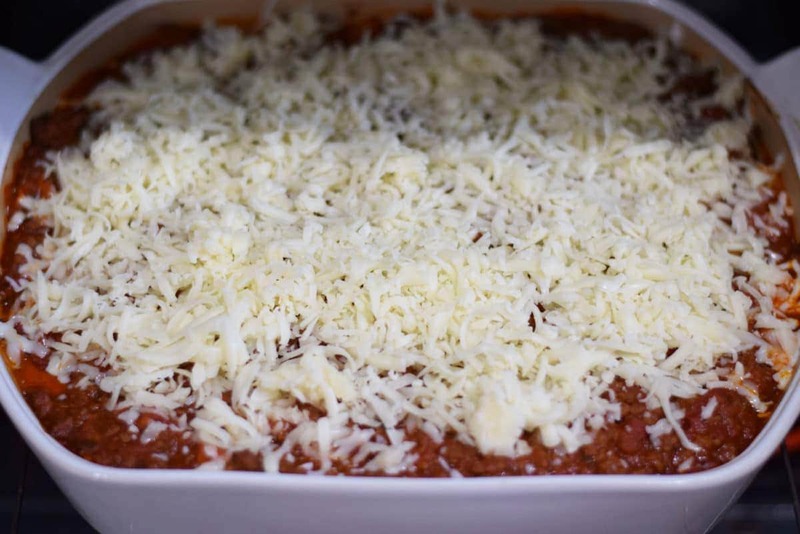 Remove and add mozarella cheese on top and bake for 15 more minutes or until melted and golden. I like to broil mine a minute or 2. 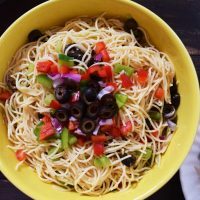 Head over to my favorite link ups and find this and more fabulous food on Meal Plan Monday and Weekend Pot Luck! This looks really yummy. It looks like it would freeze well. Have you ever tried that? 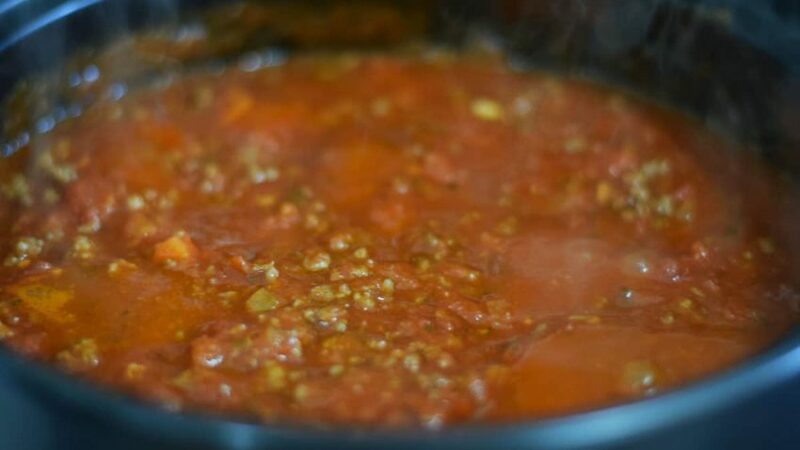 Also, I make my own pizza sauce. How much would you suggest I use? Thank you so much! Yes it does freeze well! 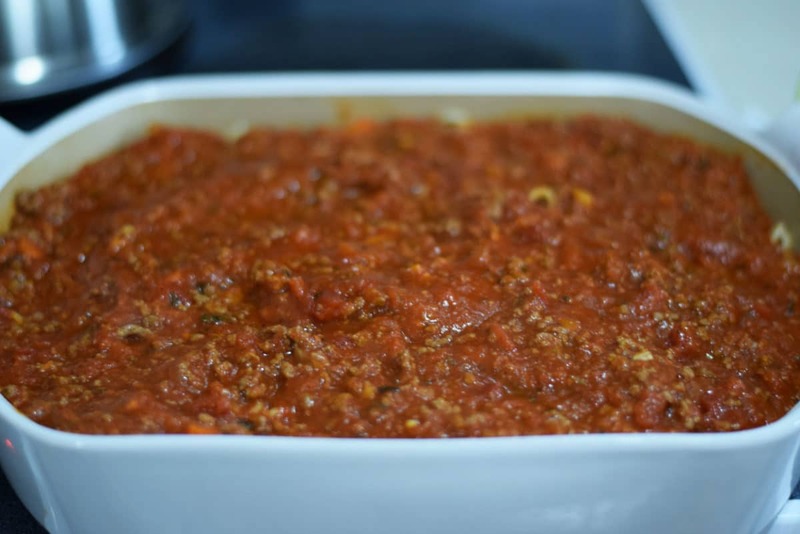 When I freeze I usually heat up some meat sauce I have in my freezer as well because my family likes a lot of sauce. They like it swimming lol! When I buy a jar of pizza sauce they range from 14 to 16 ounces. Please let me know how it goes!! I am so glad you came by! Looks delicious but isn’t there an egg for the white sauce? It isn’t listed in the ingredients. Thank you for catching that I have corrected it. 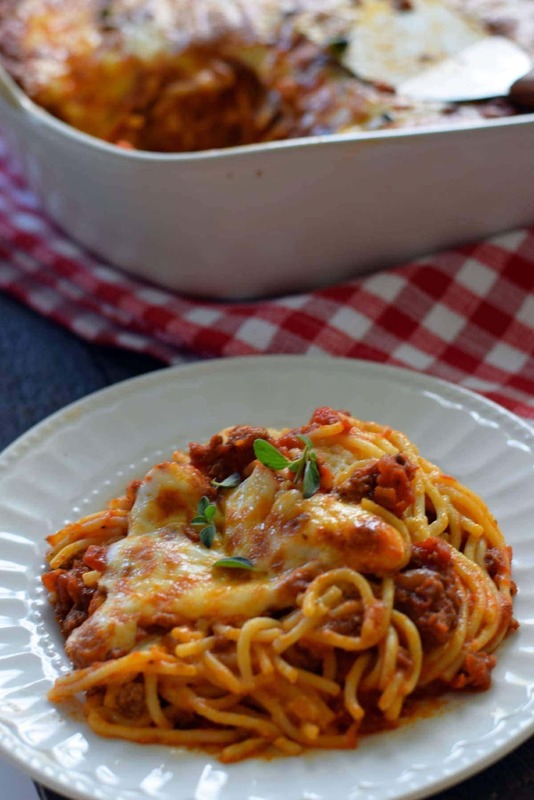 This Baked Spaghetti looks so good! 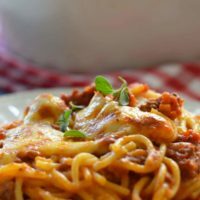 I have been looking for a recipe to make Baked Spaghetti. This one is a must try! Pinned also! Thank you Maribeth! I hope you love it as much as my family does! So glad you have stopped by and hope to hear back from you soon! We have switched from using ground beef to using ground turkey. I fry it up just like beef, drain it well, and use it in any recipe……we really like the texture and it is much less greasy. Give it a try, you might like it! Costco has great ground turkey at a good price too! Thank you! Oh yum! Looks so delicious! Can I ask what is the “cream” used? 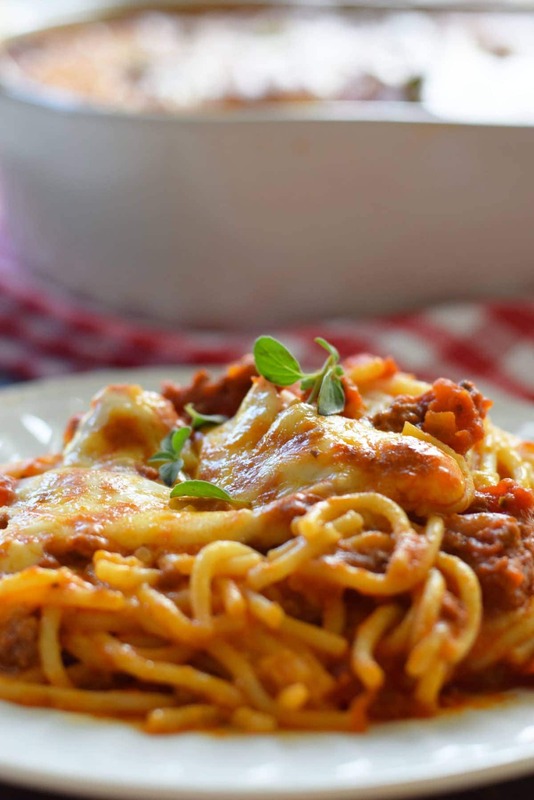 I love baked spaghetti and your version looks divine! 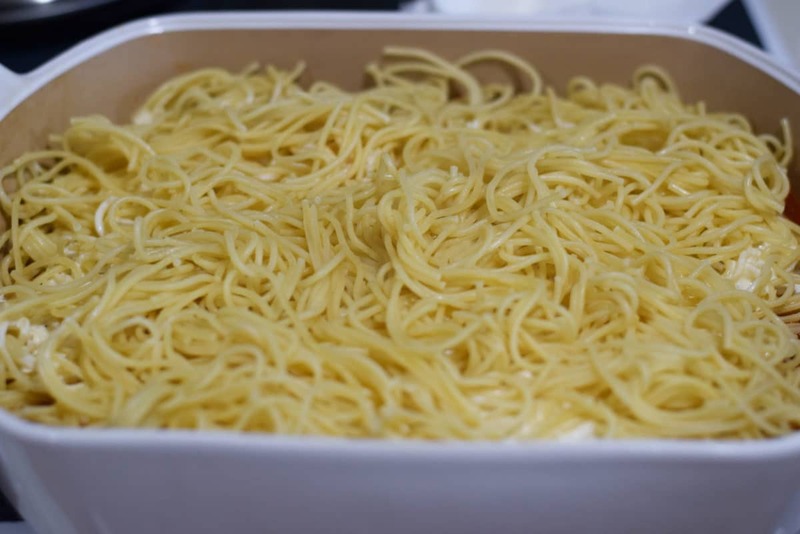 I’ve always preferred baked spaghetti rather than the traditional noodles topped with sauce. Have a wonderful weekend. This looks so delicious. 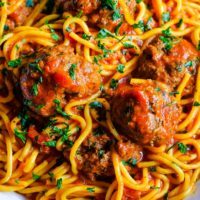 My kids love spaghetti and I often make it for our breakfasts. I am looking for some new recipes for this dishes and luckily, I come across your site and see the recipe. I will give it a try. I guess my family will love it. Thank you Vivian. I am sure glad you have stopped by! I hope your family loves it as much as mine does! I would love to hear back from you!